Get ready for St. Patrick’s Day with this free, printable leprechaun hat craft for kids! As a mom to three and former teacher, celebrating the holidays with my kids has always been one of my favorite activities. Whether it’s making Valentine’s Day crafts in February or St. Patrick’s Day crafts in March, we’re always looking for fun, holiday crafts that give us an opportunity to learn while being creative. This leprechaun hat template is one of those crafts! 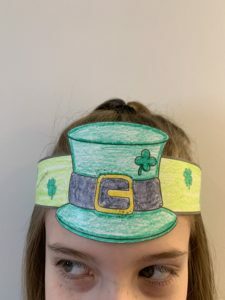 This printable leprechaun hat craft combines three of our favorite things: all things Irish, a free printable template, and a jaunty headband craft that can be worn while learning more about a subject. In this case, we’ll be wearing our leprechaun hats while learning all about St. Patrick’s Day and how it came to be. Depending on the weather, we may even wear it to the St. Patrick’s Day parade! This is a terrific craft for building those very important preschool fine motor skills and practicing cutting and coloring. For preschool learners, those skills help set the foundation for writing. 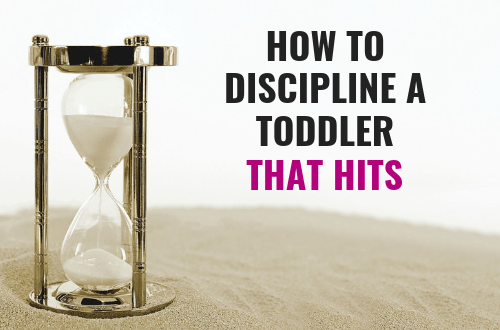 Without enough practice, kids can have a hard time gripping a pencil and controlling its movements. Things like cutting and coloring help build hand and grip strength, as well as improve hand-eye coordination. Even a simple craft activity like this can help kids make strides toward future academic skills! 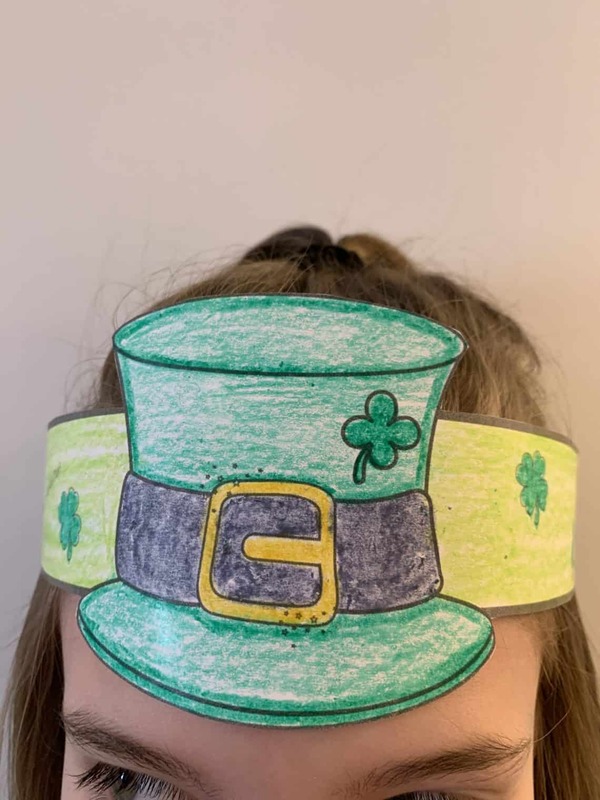 So, break out the crayons, print out a handful of leprechaun hat templates, and whip up some cute headbands for the whole family! 1. 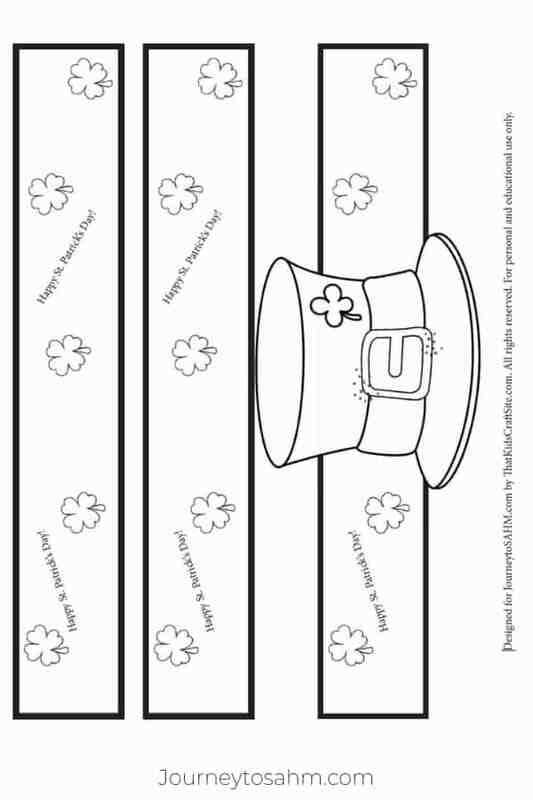 Print the leprechaun hat template on white card stock. 2. Using crayons and/or markers, color in the mini leprechaun hat, as well as the bands. 3. Once everything is colored in, carefully cut out the strips. 4. To assemble, tape a strip without the hat to each end of the hat strip. 5. Have your child hold the leprechaun hat piece in the center of their forehead and wrap the pieces around their head. 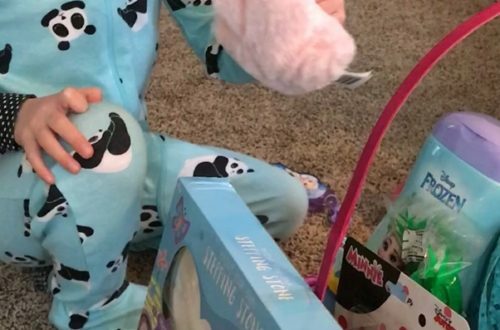 Place your fingers where the pieces overlap and lift from your child’s head. 6. Tape where your fingers are holding the overlapping pieces. 7. Have your child place the leprechaun hat headband on his or her head and enjoy! – Having a St. Patrick’s Day party? Use the leprechaun hat template to make hats for your party’s photo booth station! – Put on your leprechaun hats and wear them while reading stories about St. Patrick’s Day. – Have a St. Patrick’s Day dramatic play area and have the leprechaun hats be a part of the dress-up options. No matter how you use them, have a blast making and wearing your leprechaun hats around the house or around town! Show Us Your Leprechaun Hats! If you decide to make a leprechaun hat, snap a picture and show us! Tag us on Instagram @JourneytoSAHM and @ThatKidsCraftSite! We’d love to see your little leprechauns! 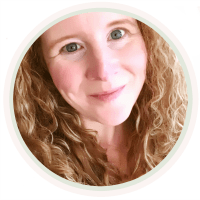 Brandi Jordan is a former teacher and homeschooling mom who is passionate about helping parents find easy and fun ways to connect with their kids. She also drinks way too much coffee, isn’t a fan of housework, and has a weakness for weird reality TV shows. 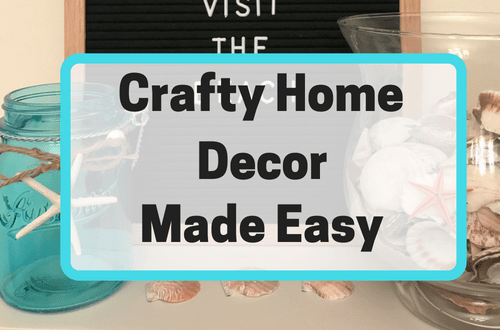 Check out all of the free fun kids’ crafts and activities that she posts at ThatKidsCraftSite.com and follow her on Instagram where she features a Daily Doodle story to encourage kids and their adults to try their hand at doodling! 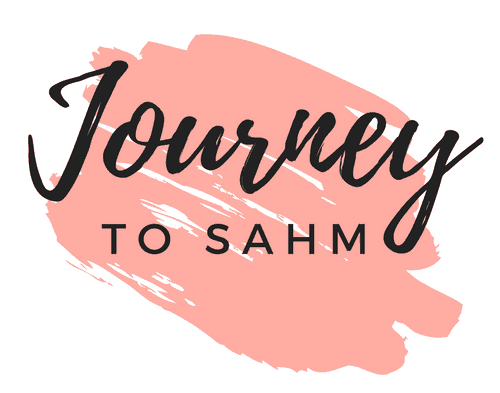 Interested in being a guest blogger on Journey to SAHM? Learn how! This is way too cute! My little guy’s birthday is a couple of days before St. Patrick’s Day. I’m totally going to make these for us (and daddy) to wear!! Aww what a great idea Ann! I love kids match their dads. It’s so cute! Great craft! Looks like fun. You can always try it with some paint too! If not, he’ll be insanely cute wearing it still. Such a cute craft for kids to do! Cute! Those would be perfect for school! Or for doing a photo with your kiddos of them as leprechauns sneaking around. Yes Lisa! Or even a picture of them setting up Leprechaun traps trying to catch one!